Picture the scene. It’s 1926, New York is booming, prohibition has failed utterly and the city hums to the sounds of raucous jazz, the pouring of bootlegged liquor and churning motorcar engines. Excess is the order the day. For one man, it’s all a little too much. In search of something more discreet, Jimmy Beaumont moves to London and opens the hotel which to this day bears his name, a refined establishment in an art deco building on Brown Hart Gardens in the heart of Mayfair. That’s how the story goes, although I must confess it is only a story. Jimmy Beaumont – aesthete, hotelier and bon vivant – never existed. Rather, he’s the fictitious creation of Jeremy King, The Beaumont’s real owner. Moreover, he’s the character for which eight luxury British brands have clubbed together to a create an idealised gentleman’s wardrobe. The project has been dubbed ‘The Beaumont series’ and is the centre-piece of the 3rd annual London Craft Week, which kicks-off on Wednesday. It goes without saying that Jimmy is something of a dandy. 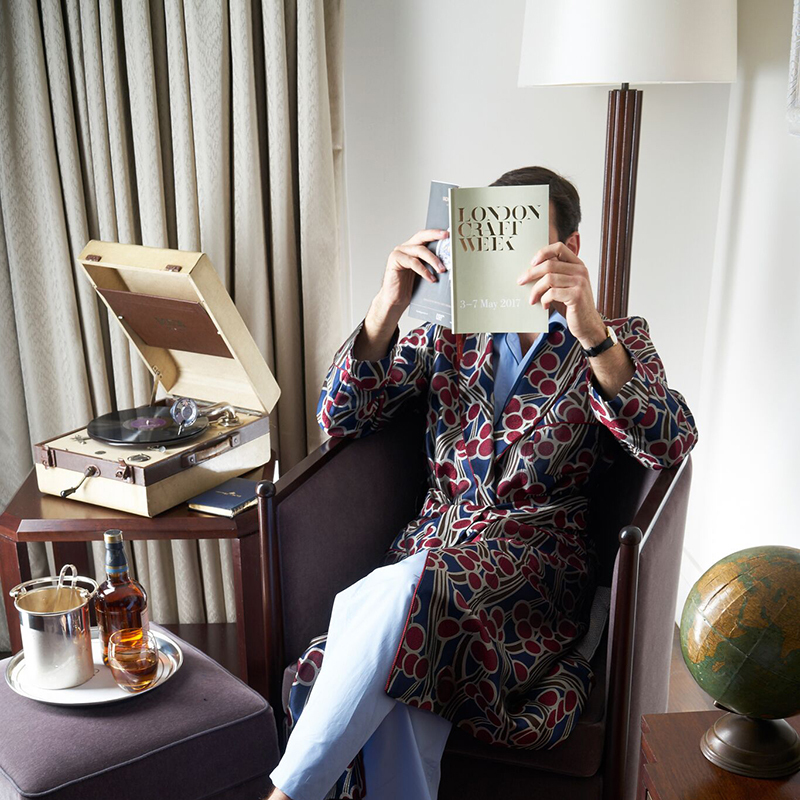 His essentials include a wardrobe of Budd shirts, hand-cut on Piccadilly Arcade in every colour and cloth you could wish for (with detachable starched collars), a magenta and imperial purple silk jacquard dressing gown with matching slippers from New & Lingwood and tailoring from up and down Savile Row. 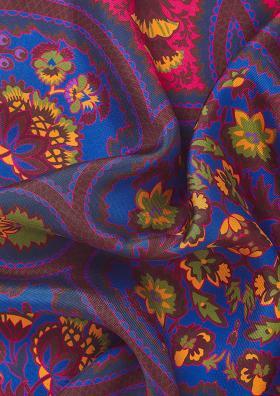 Whether a power suit cut by Maurice Sedwell (picture a punchy three-piece with a dark cherry pinstripe woven especially by Holland & Sherry), or a more discreet two-piece from Dege & Skinner, Jimmy’s tastes remain exquisite. 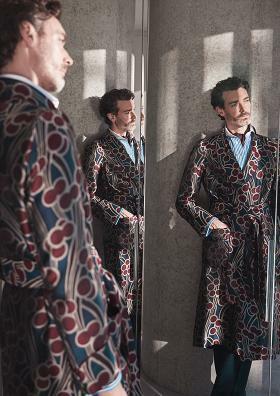 Anderson & Sheppard is his chosen port of call for a velvet smoking jacket finished with hand-embroidered frogging, worn for ‘games of cards with friends in the Beaumont’s Cub Room’. 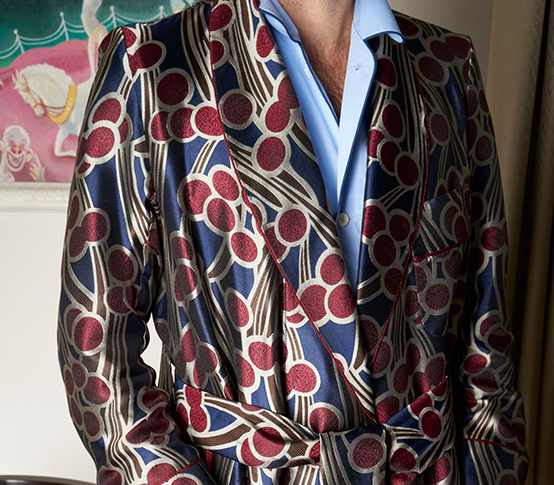 Meanwhile, Henry Poole has created a navy reefer coat and white wide-leg flannels (cut in Fox Brothers cloth, the original white cricket flannel), inspired by Jimmy’s early days racing scows at Yale. Naturally, such pursuits were undertaken dressed in flannel trousers. At the other end of the Row, Gieves & Hawkes has produced a contemporary Alpine look, consisting of a quilted sports coat and hard-wearing corduroy trousers which Jimmy apparently commissioned to wear on the slopes and entertaining après-ski. All this and more besides will be available to view throughout the week in the respective shop windows of each tailor. Mr King is also hosting a dinner this coming Thursday at The Beaumont where guests will be invited to dine with the participating tailors to celebrate the completion of Jimmy’s wardrobe, which will be on display in its entirety. A limited number of tickets are available via London Craft Week. It’s a playful narrative, and one could argue it runs the risk of coming across as anachronistic. Fortunately not, the clothes are designed to channel the aesthetic of the 1920s brought right up to date. They remain eminently wearable, styled with plenty of contemporary flair – each piece is an impressive example of it’s maker’s capabilities. 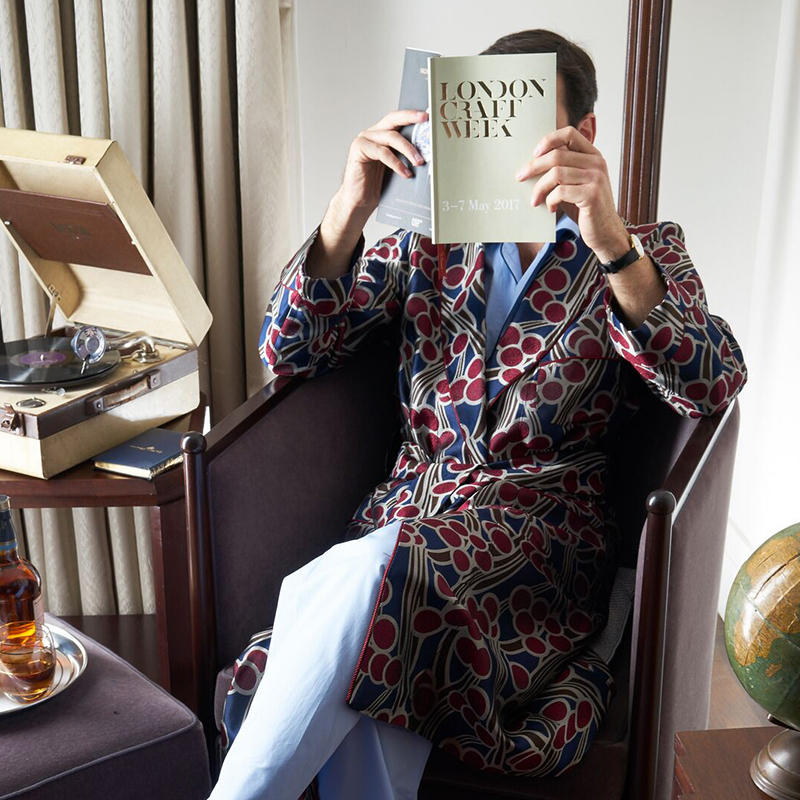 Far from old-fashioned, the project testifies to the enduring allure of sartorial glamour, of things well made and uncompromising British service. Somehow, for all it’s Jazz Age inspiration, The Beaumont series feels very modern.